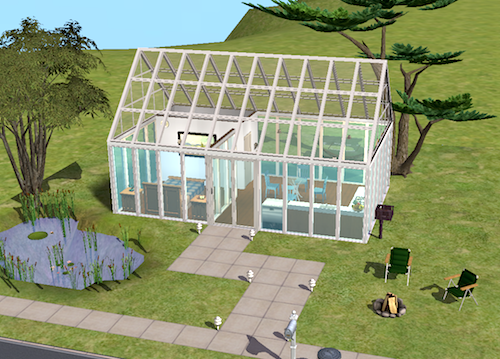 This open and tranquil home will allow your sims to get closer to nature and spend time enjoying all the outside world has to offer! 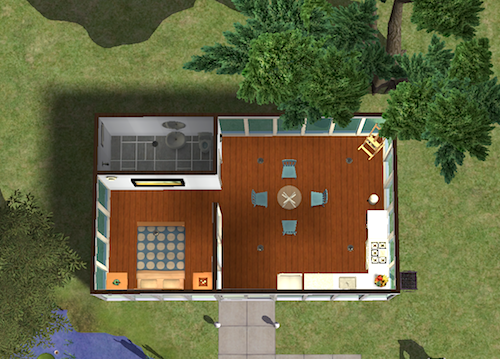 It has one double bedroom, a bathroom and a kitchen/dining area. They can have fun by fishing, painting or sitting around the campfire with family and friends. It costs just §24,732 and is fully furnished. There are more pictures under the cut! 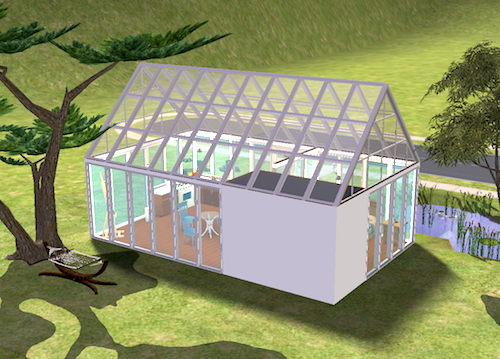 Welcome to my little Sims 2 blog! Everything I post is free to download! I only ask that you credit me where appropriate and do not repost anything while claiming it to be your own work. I would love to hear from you so please feel free to leave some comments with feedback or just to say hello. If you would like to request something, please do! Please note: I have the Sims 2 Super Collection so you will need the following expansions and SPs in order for most of my lot downloads to work.